If you’re looking for a luxury auto parts store near Bonita with great deals on Mercedes-Benz parts online, then you’ve come to the right place. 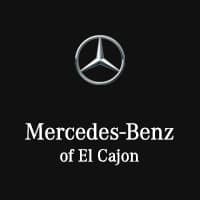 Mercedes-Benz of El Cajon has a full inventory of Mercedes-Benz OEM parts for sale right now, including a rotating selection of Mercedes-Benz parts specials. Save on luxury car parts without sacrificing on quality, and make sure to take a look at our current lineup of new vehicle specials while you’re in! Must present when service order is written. One coupon per customer. May not be combined with other offers. Not applicable to prior purchases. Not responsible for typographical or printing errors. Other restrictions may apply. Expires 4/30/2019. Mercedes-Benz has the factory trained technicians and Genuine Mercedes-Benz parts to complete the required maintenance at our state-of-the-art facility. Please refer to your maintenance booklet for the complete list of factory-required services and details on the specific intervals for your vehicle's year and model. For model vehicles 1996-2008. Expires 4/30/2019. When it comes to tires, we have just what your Mercedes-Benz needs. Cannot be used on previous service performed. Present coupon at time of write-up. Cannot be combined with other offers or coupons. See Service Advisor for complete details. Some restrictions may apply. Offer expires 4/30/19. Cannot be combined with any other offer or applied past services. Does not include applicable taxes, shop supplies, and hazardous waste fees. Limit of one original offer per person per visit. Other restrictions may apply. Void where prohibits. Expires 4/30/2019. Find Mercedes-Benz Auto Parts for Less Near San Diego! If you’re in the market for Mercedes-Benz parts, El Cajon, San Diego, and Escondido drivers can count on Mercedes-Benz of El Cajon. At our Mercedes-Benz auto parts store, you’ll find more than just deals. Work with our sales team to find affordable Mercedes-Benz financing near La Mesa, and work with our financing team to figure out your monthly car payments. Our Mercedes-Benz auto parts store is open Monday through Saturday, and you can reach us with questions at (619) 567-2812.